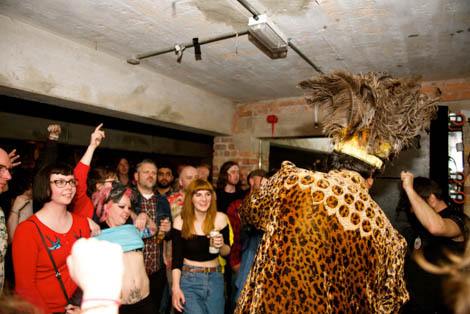 King Khan brings his twisted funk and soul extravaganza to Liverpool. Imagine Roky Erickson backed by the Sun Ra Arkestra or Wilson Pickett and The Velvet Underground, or picture the love child of Anubis and Kali. A fantastic image, isn’t it? Well, King Khan and The Shrines will be bringing all of that and more to Korova on Wednesday April 23. 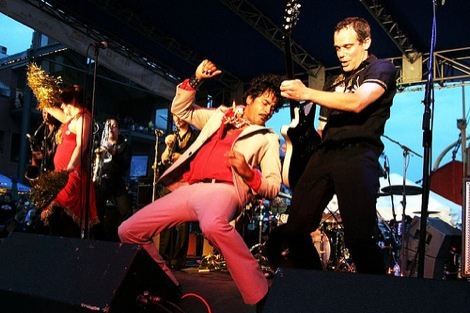 King Khan & The Shrines is more than a psychedelic soul band with a spectacle of a stage show. They are a cult musical phenomenon with more than 10 years of international touring, multiple studio records and a fan base of fervent punk, soul, free jazz and garage rock heads. Their latest album, this year’s Idle No More, is an unforgettable lesson in all of the above, with a shedload of dramatic flair and musical integrity thrown in. Make sure you’re there in April at Korova for a show that will offer a transcendental experience to those lucky enough to be standing in the light.